Two Seattle police officers refiled a defamation lawsuit against socialist City Councilmember Kshama Sawant in an attempt to silence criticism of police racism and violence. If successful, the lawsuit will have a chilling effect on others who look to speak out. These intimidation tactics must be met with a powerful solidarity campaign to make clear our movement for black and brown lives will not be silenced. In February 2016, SPD officers Spaulding and Miller shot Che Taylor four times at point-blank range, killing him. The official inquest jury unanimously concluded that Che Taylor had his hands in the air and was attempting to follow orders when the officers shot him. Local community members and Taylor’s family quickly came together to demand justice. 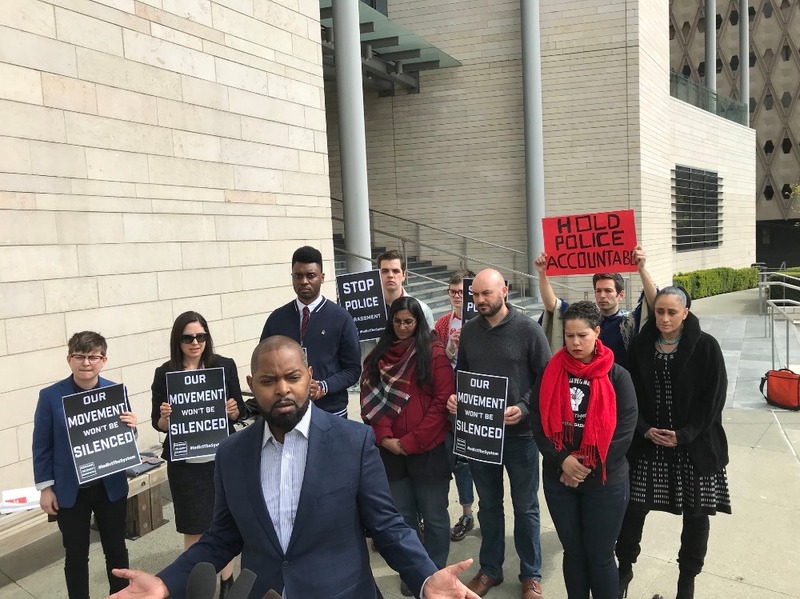 The officers did not lose their jobs or face criminal prosecution, and have now turned around and sued Kshama in retaliation for her forceful condemnation of officers brutal killing of Taylor. Our Movement Won't Be Silenced! This defamation lawsuit represents a wider effort by defenders of the racist status quo to punish and make an example of those who stand up against them - but our movement won’t be intimidated! At the same time, the notorious Seattle landlord Carl Haglund is also suing Kshama for defamation after she called him a “slumlord” because of his rat and mold-infested apartments. With the help of Councilmember Sawant’s office, tenants were able to block rent hikes in one of Haglund’s buildings with these code violations. Then she was able to pass an ordinance that outlawed rent hikes in housing units with outstanding code violations. Haglund’s suit is clearly retaliatory and designed to silence his critics. That's why we’ve launched the Kshama Solidarity Campaign. We are appealing to all community groups and individuals who believe we need a strong and unbowed movement against police racism and brutality to stand with Kshama, and to use this fight to turn the tables on the officers and the political establishment that supports them. We must decisively demonstrate that attempts to silence voices of dissent like Kshama's will be met with a powerful resistance and that we have each other's backs! Defamation lawsuits cost hundreds of thousands and it appears clear that these cops have wealthy backers looking to intimidate and undermine anti-racist activists. To fight back in the court of public opinion, our movement needs grassroots donations from hundreds of regular people like you who are prepared to unite against racism and police intimidation. The Kshama Solidarity Campaign has been launched by independent members of the community and not in coordination with Kshama Sawant. Individuals, activists, and community leaders are joining together to build this campaign. Any funds donated will go toward building our public solidarity campaign and will not be used for legal fees. Freeman Ryan is on the board for this campaign and withdraws the money into the campaign's own bank account. Funds are managed by our full-time staff member. With your help, we can hire full-time staff members, rent venues for events, print informative literature, pay speaking fees, and pay miscellaneous expenses. All of which are things we need to build a powerful solidarity campaign to turn the tables on these racist cops and their racist, right-wing backers. Donate today! Thank you so much to everyone who has donated so far! 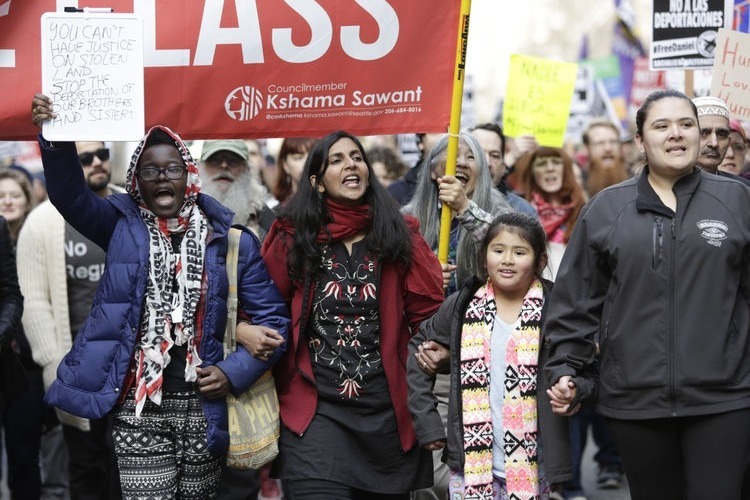 With your continued support we can build the strongest possible campaign to defend Kshama Sawant and stand up to racism and police intimidation. On Wednesday, March 28th, we held a press conference on the steps of city hall to announce the launch of the Kshama Solidarity Campaign. Community leaders Andre Taylor (Che Taylor's brother and Executive Director of Not This Time), Nikkita Oliver (Mayoral Candidate for the Seattle Peoples Party), Jenn Kaplan (Seattle chapter president of the National Lawyer's Guild), Emerson Johnson (Organizer for Kshama Solidarity Campaign), Shaun Scott (Democratic Socialists of America), and Kshama Sawant all came out to speak in support of the solidarity campaign. It was a charged press conference with a resounding call for the protection of dissenting voices and a strong movement against racism and police harassment. Already the community is rallying in support! We also launched our social media and you can now follow our campaign on facebook and twitter!